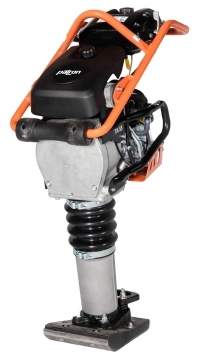 High centrifugal force and speed contribute to deep and effective compaction. Applications include repair jobs, trenches and foundations. The rammers feature a multi-functional fuel tank featuring a breather shut-off, electrical shut-off, fuel shut-off and throttle control with three fixed positions (stop/idle/run).